KANZI has a vocabulary of 3,000 words and has answered over 400 complex questions. Kanzi is a bonobo chimpanzee, a species that shares 99 per cent of genetic material with human beings. Interestingly, Kanzi has never asked any questions himself. Scientists suggest that the ability to ask questions is probably the central cognitive element that distinguishes humans from others. If the education system was to tutor in how to process information into analysis, in Pakistan’s case its home could lie in civics. Maybe that is one way of disguising and infusing critical thinking, just like we have resorted to ‘stealth iodisation’ to circumvent rumours that iodised salt causes infertility, sneaking iodine into production to combat preventable mental retardation and birth defects. Logical fallacies are thrown at us as camouflaged insults that we cannot recognise. 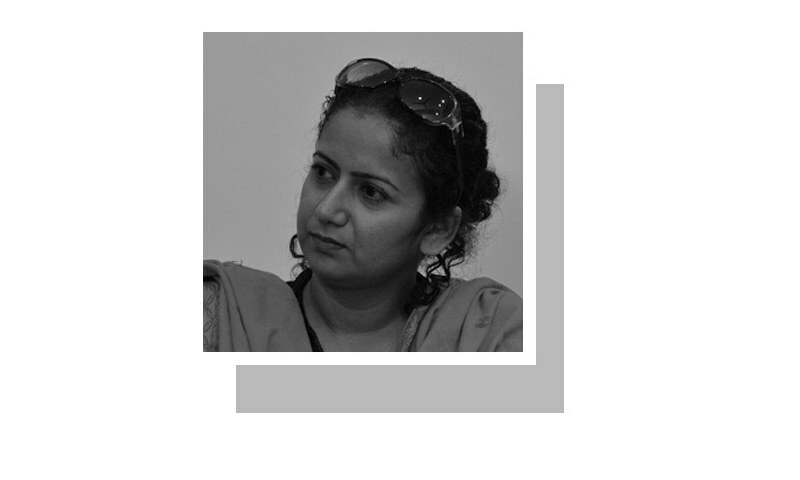 Like the false dilemma fallacy of either supporting CPEC unconditionally or being against development and economic growth; the fallacious red herrings of Jewish machinations behind our monthly downfalls, or the fallacy of appeal to tradition, that Fata must remain the way it is because it has remained the way it is. Or the non sequitur where irrelevant conclusions are drawn — for instance, since the West is destroying political equilibrium in Muslim countries, there should be no madressah reforms. Or ad hominem attacks where arguments are countered not with content but by slurs about the person. Good questions may be more important than good answers. The stage for these is frequently the nightly congregations of pyromaniacs that many talk shows are. The examples are legion. Meanwhile, it seems our rulers have resolved the quiddity question that has plagued philosophers from Mulla Sadra to Sartre, of whether there is some intrinsic feature or essence that qualifies a thing to be what it is. For the current government, soaring public debt has no intrinsic meaning as a borrowed amount to be paid back with high interest. They simply passed a law for redefinition, introducing a new formula for calculation to lower it. When questioning is portrayed as betrayal, whether of national interest, country, family, ideology, belief or culture, the capacity to learn is amputated. Every committed teacher, researcher and inventor knows constructing good questions is possibly more important than coming up with good answers. In a televised address, Gen Zia said that a ‘yes’ vote would be a public call for him to stay in office. A government decree stated that advocating a boycott of the referendum would be a crime punishable by three years in prison — 98 per cent of the people who voted polled yes. We are still paying for the consequences. From the banal ‘What’s to become of this country?’ to the flowery ‘How long will the awam suffer?’ our questions are dreary. The go-to solution for social commentators is ‘change people’s mindsets’, and clichéd though that is, they may be on to something by signaling the difference between the brain and the mind. Apart from humans, no creatures ask questions because they lack metacognition, which is the awareness of one’s own thinking process. But then, we share about 50pc of DNA material with bananas. Intelligent coherent light-hearted article for the enlightened , thank you. Good answers are better than good questions. People who ask questions don't have the answers. Very good article, our education and family system has destroyed the ability of our people to ask questions - teachers and fathers are equally guilty when they say to our kids - dont ask why ..... . What a world it would be if our people were free to ask questions and and more importantly even more free to find their own answers!!! @alba "Good answers are better than good questions." People don't always ask question to get answers. Questioning is also a form of analysis process. Sometimes it is better not to give an answer to a question, but to help that person to find his/her own answer. But for that you need to understand human thinking process, which is harder than having prepared answers. "constructing good questions is possibly more important than coming up with good answers." Hence teaching how, where and when to table that question is essential. You need to teach people to be wise, not to be intelligent. Wisdom comes with training and teaching, intelligence is natural. A low IQ wise person is far better than an unwise person with high IQ. The wise one knows he's not that intelligent, the intelligent one doesn't. Very interesting article. And very intelligent thought provoking presentation. Hats off to you madam. A super column. Wish to learn more about the lady. Thank you. An excellent piece of intellectual humour (hope the two can be brought together so lucidly)! Excellent article, this also brings the need to have freedom of speech in education. Good questions produce inductive reasoning and thus, make more productive knowledge while good answers make a way of detective reasoning to direct the minds in the right direction. This by far the most stunning article I have read in a while. It is riveting in detail. Thank you very much for the stellar piece of writing. Thank you very much for this splendid write-up. It is riveting and poignant in its details. Profound regards.